You are currently browsing the tag archive for the ‘outdoor’ tag. All week long it was sunny or moderately so. Then our community kite fly day arrives and it rains. We have had enough rain this past fall and winter to last an entire year or more. 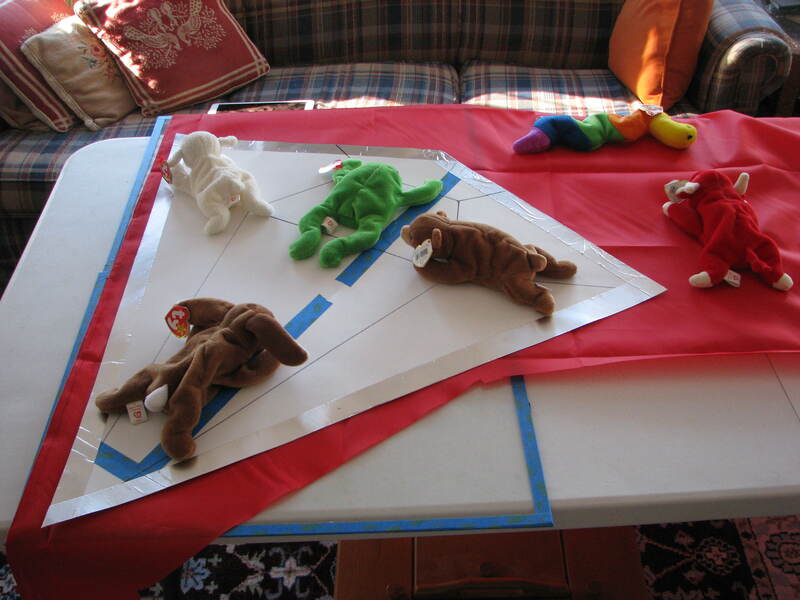 The only good thing about poor weather is that it forces me to get back to kite building. I’ve had a pattern on my computer for quite a while now and have decided to put it on a rokkaku. 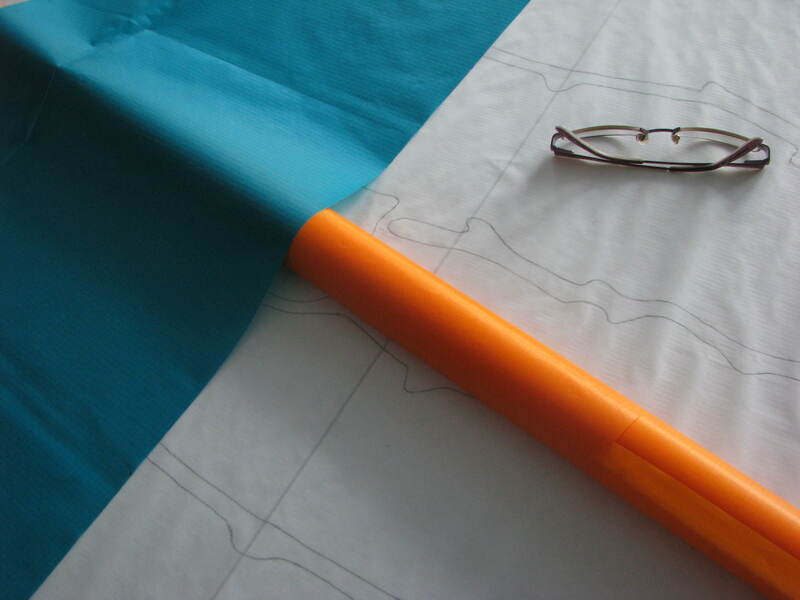 To make things a little easier, the width of the rokkaku is going to be the width of my fabric. That way the sides will be parallel and I only have to cut the top and bottom points when the design is done. And I only have to worry about centering the design side to side when I’m transferring it to the material. Centering top to bottom can be done later. 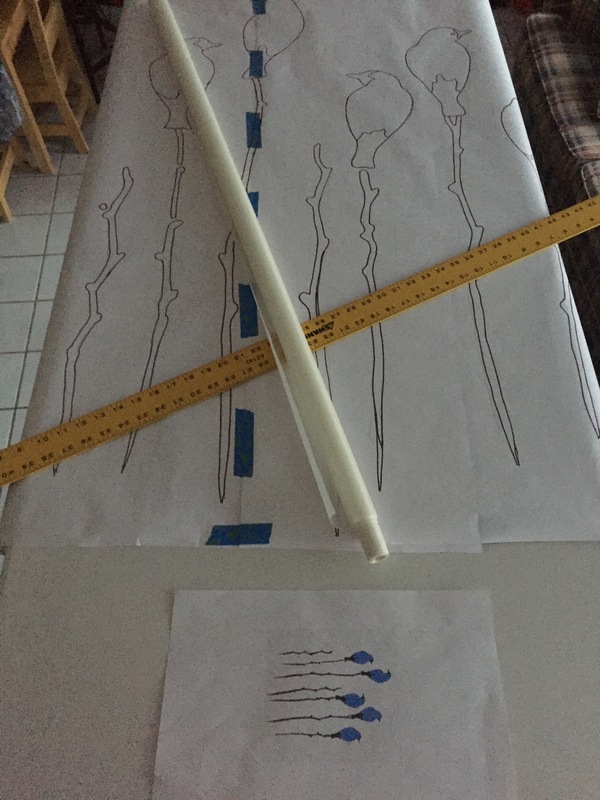 It will be a little tricky working on this kite as it is larger than my work table. After making the modified edo, I told myself I wouldn’t make anymore large kites. An yet, here I am again. It will be approximately four feet by six feet, give or take an couple of inches. I’m going to use a Ray Wong rokkaku as a plan for framing and bridling. His always fly well and that may reduce some of my trial and error later. I really wanted to do this kite in the blue that was on the drawing. However, I don’t have a good middle hue blue that would work. So I’ve decided on a teal and a golden yellow. Don’t panic! The branches and bird accents will still be black. You’ll just have to wait to see what the golden yellow is for. And so the project begins. Wish me luck. After missing the New Year’s Day kite fly on the beach, we made it out this past weekend for our first kite fly of 2019. The day was sunny, relatively warm with light to moderate winds. The regular kite flyers were there and a couple of our out-of-town flyers had come down for an extended holiday. There were so many kites in the air you would have thought it was a festival. I spent most of the time photographing the kites and catching up on what flying I had missed over the New Year’s holiday. They all told me it was the best fly ever. I hated to miss it but I must admit grandchildren rate higher than kite flying. And we had a great visit (and second Christmas) with ours. The highlight of the fly was a group flight of the Randy Tom warrior princesses. Several of us have purchased Randy’s kites over the years and we just happened to have them in our kite bags. I am happy to say I have two of the warrior princess kites and both of them were in the air on this day. 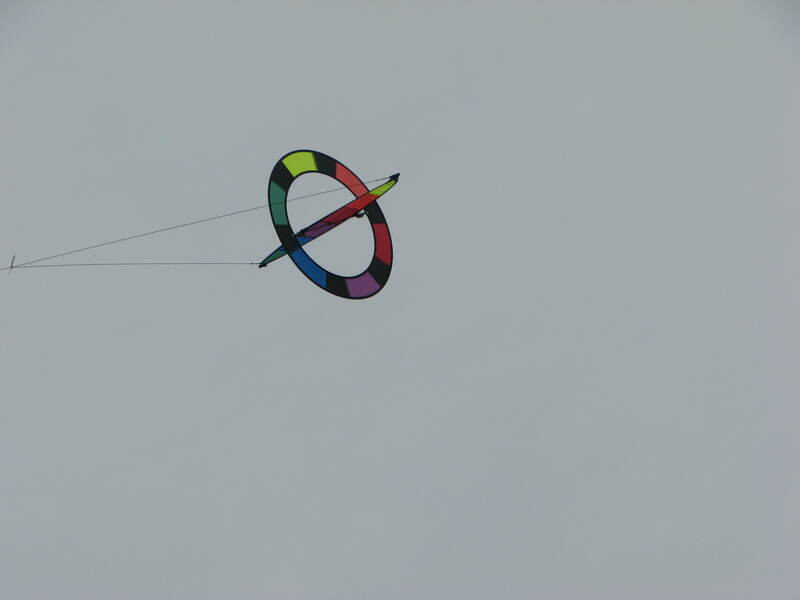 Before leaving I brought out my Rainbow Revolution quad line kite. It’s a special kite I got from a friend and don’t fly it very often. Because I was flying it, there was no one to get a photo. I guess I’ll just have to work out a remote camera arrangement. Though I’d rather carry extra kites than extra camera equipment. It was a grand day and we stayed longer than usual, enjoying the sunshine. Here’s to hoping that it is a sign of more grand days to come. The weather and the holiday preparations kept us from doing any flying for a couple of weeks. But Christmas Day was sunny and warm-“ish” and gave us a pretty nice day to spend on the beach. The only thing missing was the wind. It was either very, very light or it was non-existent. Luckily I have a special kite bag just for days like that. Filled with kites that prefer days like that. (It’s not a very big bag, I must say.) So Christmas Day was spent with friends, flying what we could and enjoying time on the winter beach. I’m pretty sure you already know which kites I flew this day. There have been quite a few low wind days this past year and I have taken photos of them every time they have been in the air. But on this day I dug out a kite I haven’t flown in a long time. 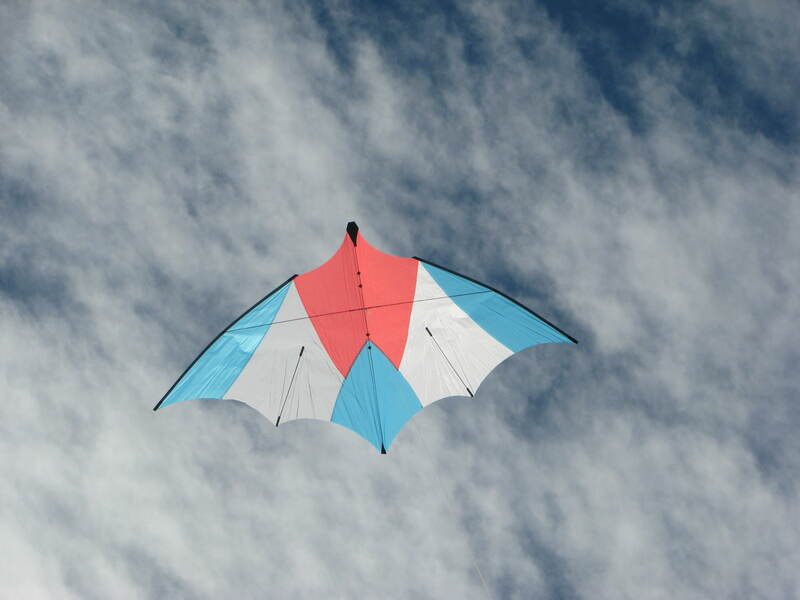 A first generation super-light wind kite, the Chiroptera by Will Sturdy. 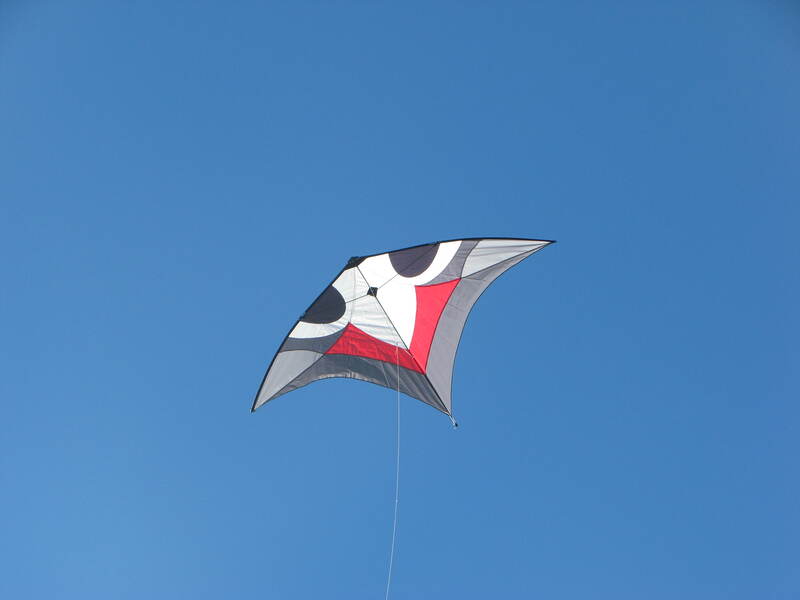 Will began designing and building kites when he was in high school. He went on to college and a career and quit the kite building business. But now I hear he has re-designed this kite and is building it again. Perfecting it as a zero wind kite for all the indoor kite flyers. I anchored this kite to a sand bag and it flew for the longest time with the least attention. I tried to anchor my other kites in order to get a photo of them all together. However, they needed a bit more attention as the wind would gust and then let up. Much like a person breathing. (Mother Nature – breathing.) 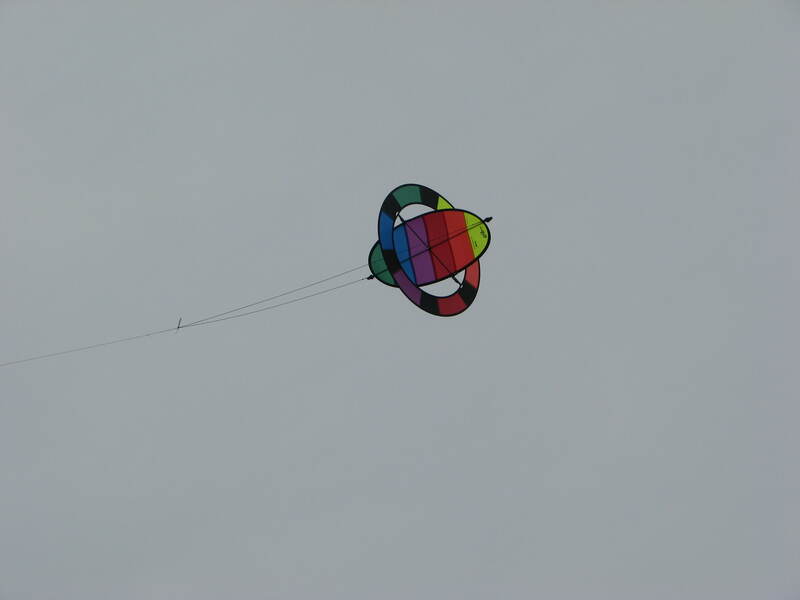 So the most I could do was two kites in the air at one time. That was enough to catch the eye of the people walking the beach. The Phoenix and the Dunton-Taylor box kites were easy to launch and stayed up pretty well until the wind dropped below one mph. The Wala II took a lot more work and I had to remove the streamer tail. I really love the winter beach. It is peaceful and relativity empty, not crowded with vacationers. Of course, there is more space to fly kites but also the pace of life seems to slow down on a winter beach. Another reason to like the winter is the ability to drive on the beach. After one purchases a vehicle pass from the local municipality. This reduces a lot of heavy lifting and carrying of the kite bags. 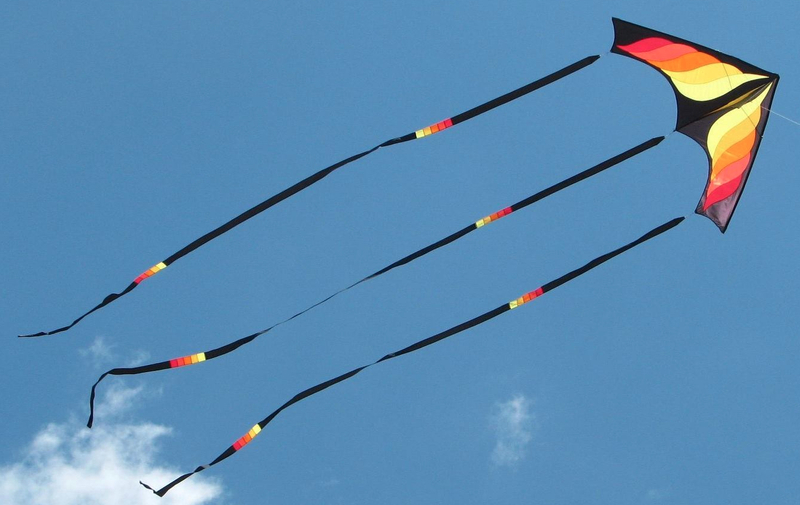 And, if need be, provides a convenient anchor for those very large kites. The biggest hazard to driving on the beach is getting on and off the beach. There are a limited number of access points. This is a good thing as it keeps random vehicles off the sand dunes and controls the flow of traffic. 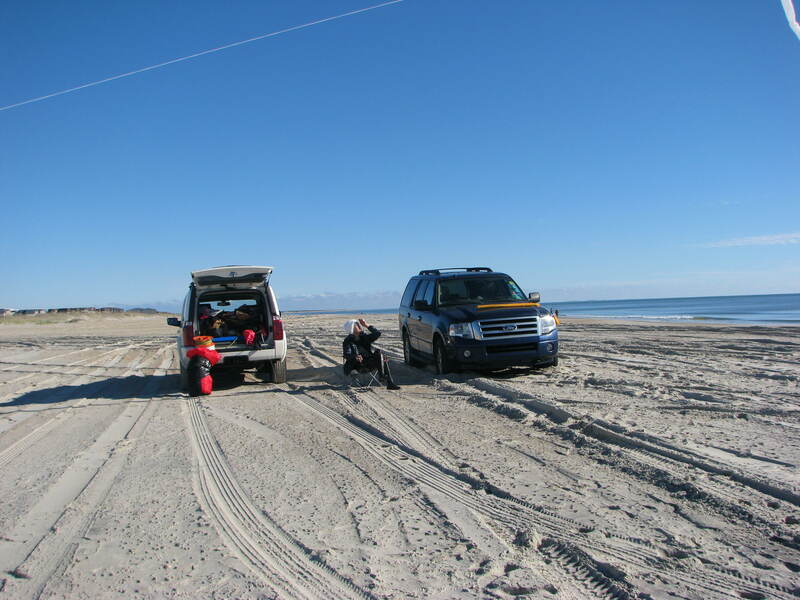 However, as people use these access points, the sand can become soft and even a four-wheel drive vehicle with an experienced beach driver can get stuck. Just another beautiful day on the winter beach. When I arrived at Fort Macon State Park I found that my phone was the most accurate. The winds were around 10-12 mph. Grabbing a couple of kites and the bag of lines and anchors, I walked down to the beach to join the other flyers. This time of year it is just the usual small group of “locals”. However, each of us put up at least two kites and provided quite a show for all the visitors to the fort and on the hiking trail. 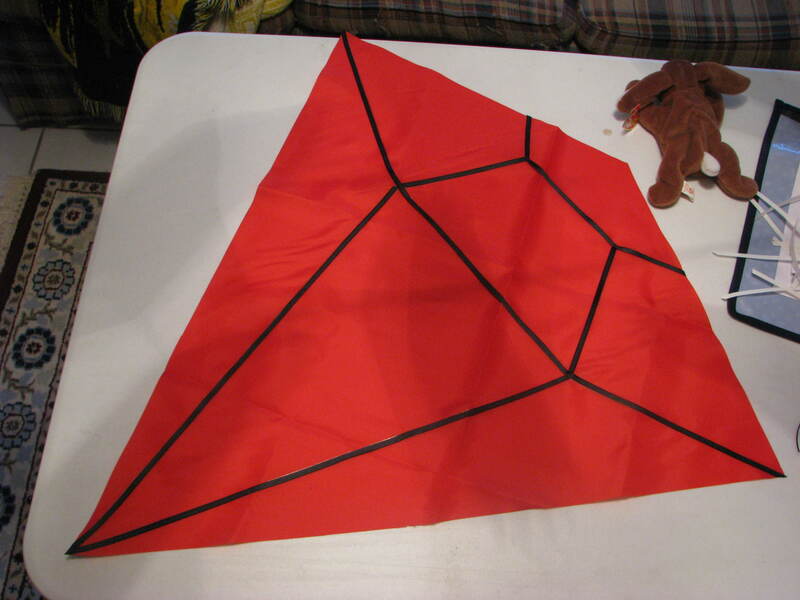 The first kite I put up was the George Peters Gypsy Moth delta. 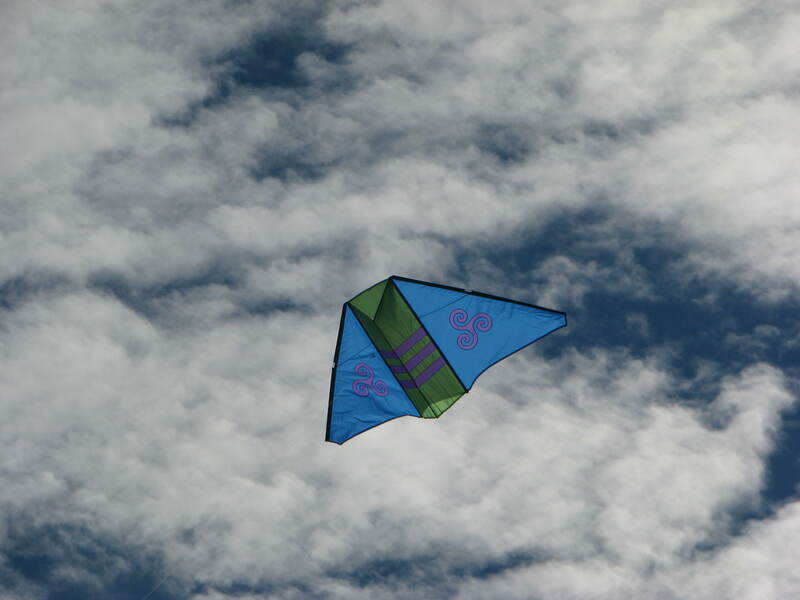 It was the first time I flew this kite since I reinforced the trailing edge. It wanted to leap out of my hand and into the sky. And the trailing edge did not flutter as much as before and showed no signs of fraying. 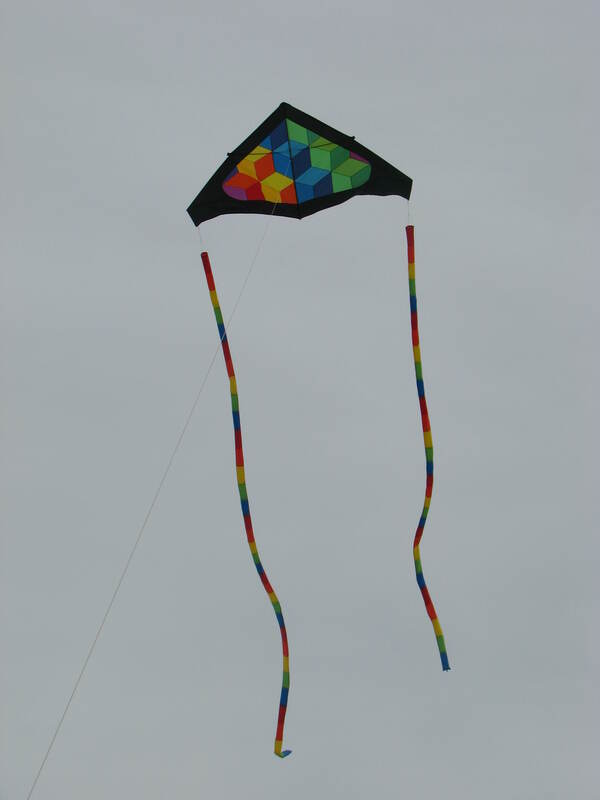 My second kite was my vintage rainbow double box delta. This one has wooden dowels for spars and really pulls when the wind picks up. Even on a cloudy day, the colors show brilliantly in the sky. 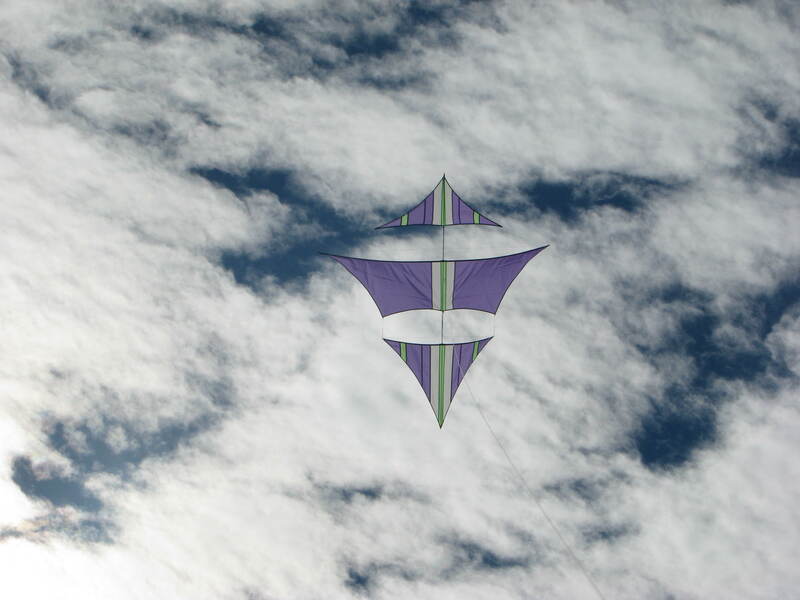 And I was lucky to find matching tube tails to make it even more of a “showy” kite. I had brought another delta with me but decided two was enough as the winds were picking up as the morning wore on. Also out on the horizon was a line of dark clouds indicating a storm front approaching. Now, none of us wanted to be taking home wet kites so we ended the kite fly a little early and met back at the kite shop before the rain came. Despite the fact there was no sunshine, it was a very satisfying morning kite fly. And, hopefully, there are more to come.